I will update when I find more deals! Here’s where to get FREE or discounted Yogurt on February 6, 2019! Buy One, Get One free frozen yogurt at Menchie’s on February 6. This offer will be available all day at participating locations. Grab a treat at Pinkberry on National Frozen Yogurt day and you’ll score a mystery reward to redeem on a future visit! To activate this offer, make a purchase on February 6, 2018 while providing your physical or mobile app Pinkcard at the time of purchase and receive a free reward to your Pinkcard on or about February 7, 2018. The possible rewards, which are randomly dispersed, include: (i) double points for the purchase made on February 6, 2018, (ii) triple points for the purchase made on February 6, 2018, (iii) a free luxe topping, (iv) one (1) free yogurt, (v) two (2) free yogurts, or (vi) three (3) free yogurts. Rewards will be loaded to the Pinkcard account used at the time of purchase, on or about February 7, 2018. Customers can pick up a Pinkcard on February 6, 2018 at any participating location or by downloading the Pinkberry mobile app on an iPhone or Android. This offer cannot be combined with other offers, promotions or discounts. All rewards associated with this offer will expire on February 28, 2018. Participating locations will have $5 fill up on National Yogurt Day! Sweet Frogs announced that their National Yogurt Day special will be just for loyalty program members. So be sure to sign up! 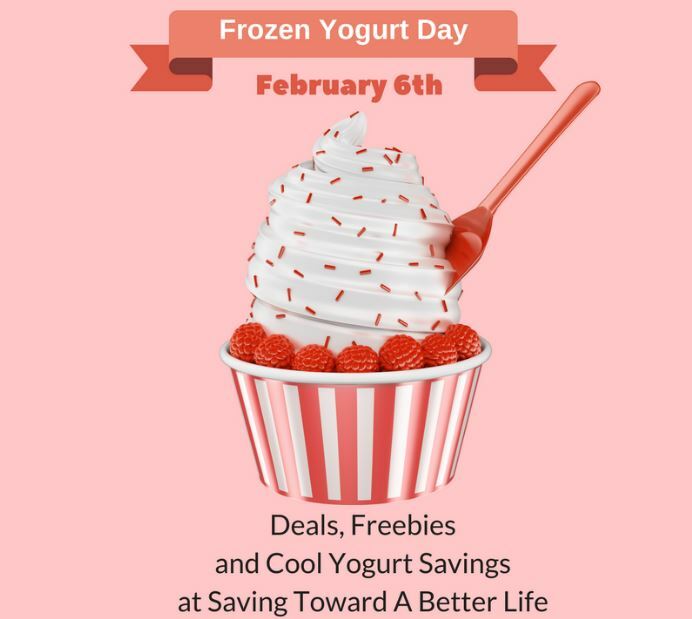 At participating Yogurtland storea on Wednesday, February 6th from 2-7pm get a buy one, get one free promotion! 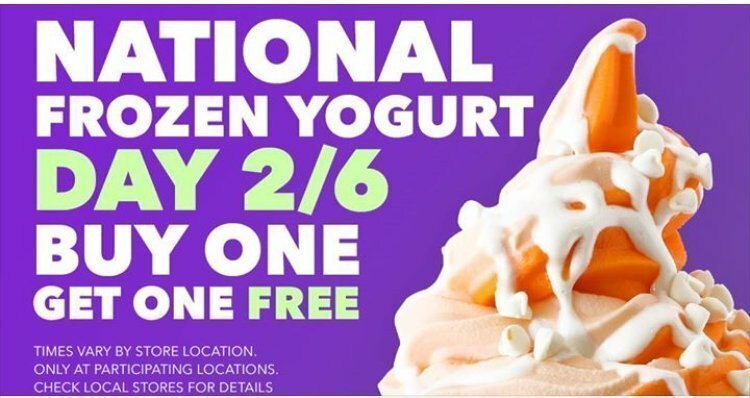 Yogurt Mountain is offering buy one get one free on 2/6 from 4pm to close only. If you’re not already signed up for text offers from Yogurt Mountain, click here to see how. I love my Yogurt Mountain text coupons! Plus, they use your YOMO club phone number to reward you for your visits! Your 10th visit is free! I searched far and wide for deals as I learned that Yogurt shops are incredibly regional. Seems every region of the US has their own 2 or 3 chains. We have a couple Yogurt Mountain shops nearby and a couple 32 degrees waaaay outside my normal radius. We used to have a Red Mango at the outlet mall but I think it closed. Did I miss your local froyo spot?